Important: the deadlines for applying for financial support have passed! The SIGCHI Student Travel Grant (SSTG) program is intended to enable students who lack other support opportunities to attend CHI and other SIGCHI sponsored or co-sponsored conferences. This travel grant is intended to support students whose intention is to present at CHI 2019, not just attend. The goal is to pre-approve students for grants before a conference’s earliest submission deadline, so that if a student gets a submission accepted, that student can count on having a grant awarded for travel to the conference. For more information about the SSTG program, see here. 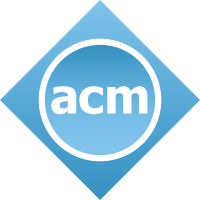 In recognition of Gary Marsden’s contributions and inspiration in HCI4D, ACM SIGCHI established Gary Marsden Student Development Fund in July 2015. The purpose is to support growth of HCI in developing worlds by sponsoring SIGCHI student members who are postgraduate students from and currently based in developing countries to attend HCI relevant events. For those who are currently not student members of SIGCHI, you can apply online to become a member before submitting the application. In the last two years, 36 students from around the world were awarded by the fund. For more information about the Gary Marsden Student Development Fund, see here.